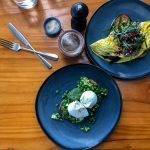 Tullys Suffolk Park is a simple but smooth addition to breakfast and lunch options for the southern end of Byron Bay. Tucked away in the stern of the Suffolk Park Shopping Centre, if you didn’t know Tully’s existed, you might just miss it. 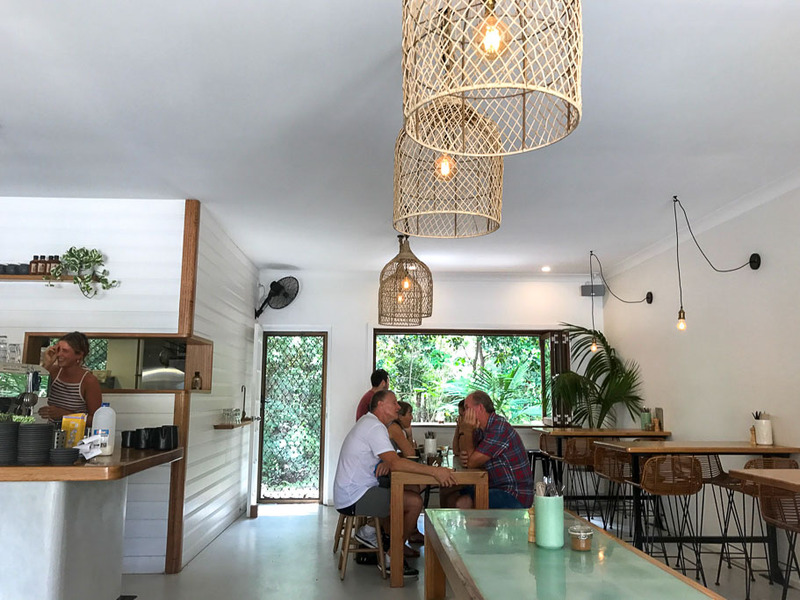 It’s definitely a locals’ hang with regulars calling by for their daily brew or something to eat seven days a week. But Tullys also has great appeal for holidaymakers staying in the area where healthy and wholesome café fare is a bit slim. The fit out at Tullys Suffolk Park is simple and smooth as well. The palette is muted with hints of cane and peppermint. 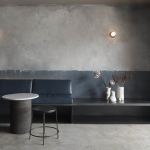 There is indoor seating for around 35 along the window seats that bookend the café, on bar stools at high tables and at communal tables. Outside there is seating on a wooden deck beneath grassy beach umbrellas that rustle in the breeze like big hula skirts. 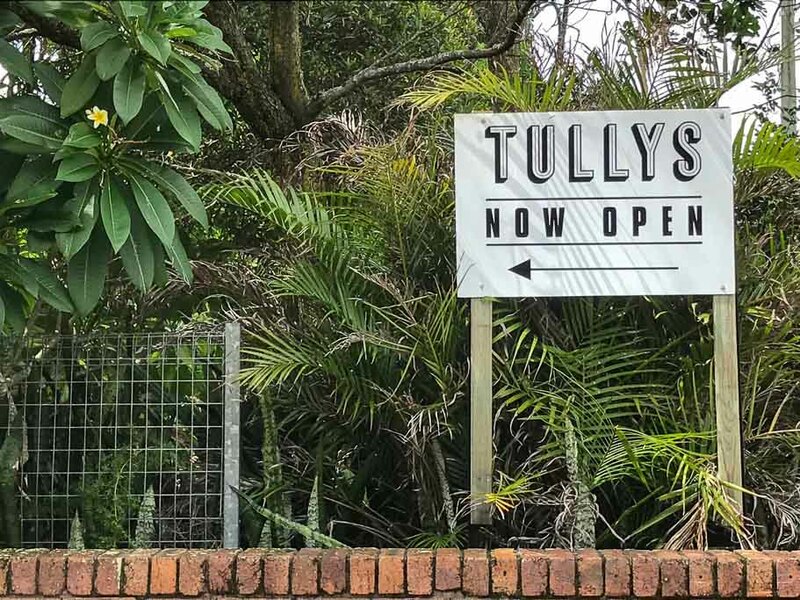 Yes, Tullys does overlook a small shopping car park used mostly by delivery drivers, but the café’s large bi-fold windows at either end serve to frame the lush slip of rainforest, complete with roving bush turkeys and the sound of whip birds, at the rear of the café which is a nice distraction. The menu at Tullys Suffolk Park is also simple and smooth. It’s small too, but I think the dishes have been chosen carefully. 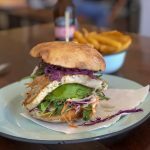 It’s about quality and interesting options rather than having too many scattered dishes on the menu and that’s something I really enjoy in a café. For breakfast at Tullys, served from 7.00am – 11.00am, there is a solid selection including Cinnamon French Toast with berries for those with a sweet tooth, Roasted Field Mushrooms served with caramelised red onion and Persian fetta on sourdough with a herb and sprout salad for the vegetarians and Nasi Goreng made on brown rice and served with vegetables, house made chilli sauce which is like a sri racha, crispy shallots and a fried egg on top. 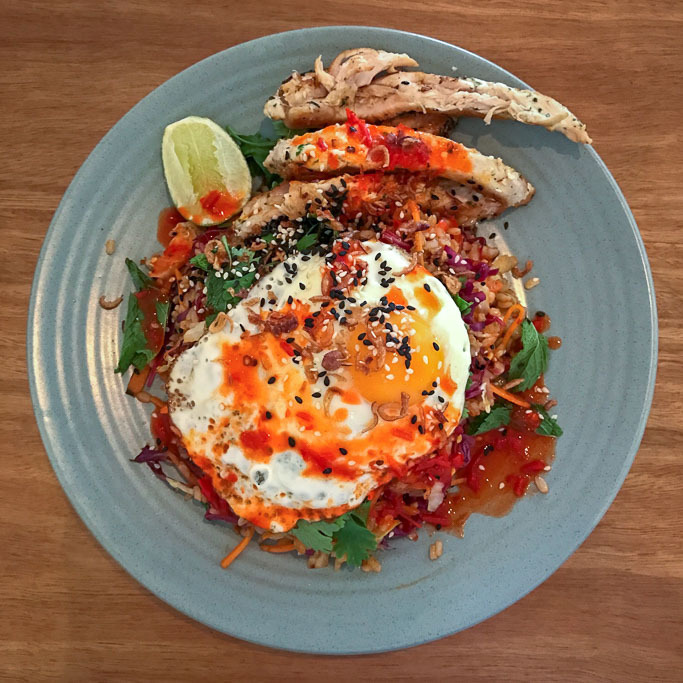 And the good news is that the Nasi Goreng is available for lunch as well. 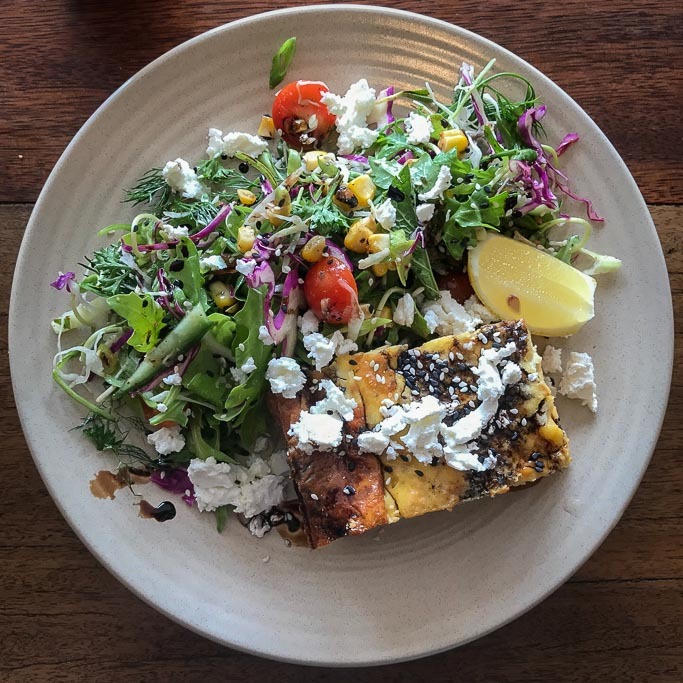 For lunch, served from 11.30am – 2.00pm there is a Pumpkin and Persian Fetta Tart made with an almond crust and served with a ‘petit’ salad and balsamic dressing. 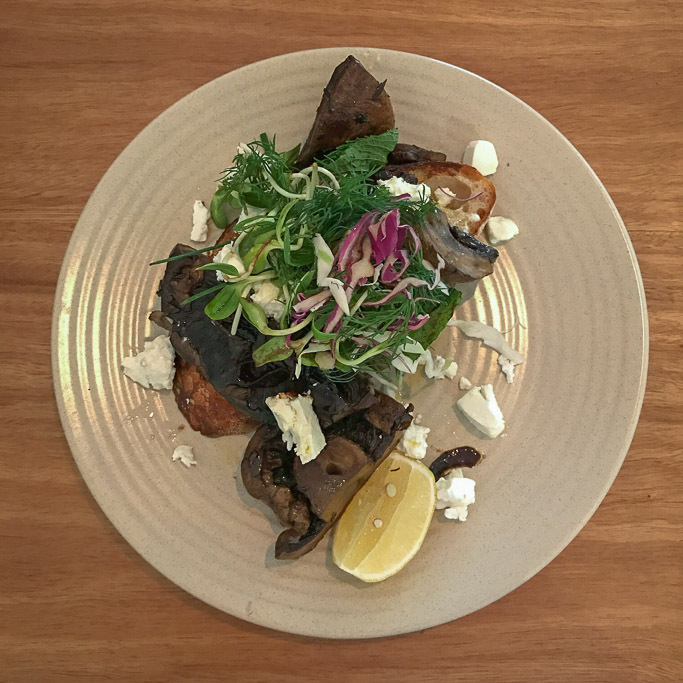 The salad is anything but petit, instead it is fresh and generous. There is also a Steak Sambo of grilled sirloin with seeded mustard, aioli, aged cheddar, red onion jam and rocket for when hunger strikes. 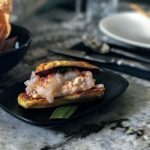 But you must try the Pork Belly Burger made with succulent pieces of braised pork belly served with Asian style slaw, chilli jam, mayo, fried shallots lime served on a warm bun. You won’t find much better. There are also croissants, pastries, cakes and takeaway salads in the glass cabinet. 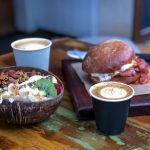 For breakfast try the Bacon, Egg and Cheese Roll Coffee Combo and keep an eye out for menu specials as well. The coffee at Tully’s is by Moonshine Roasters from Federal. 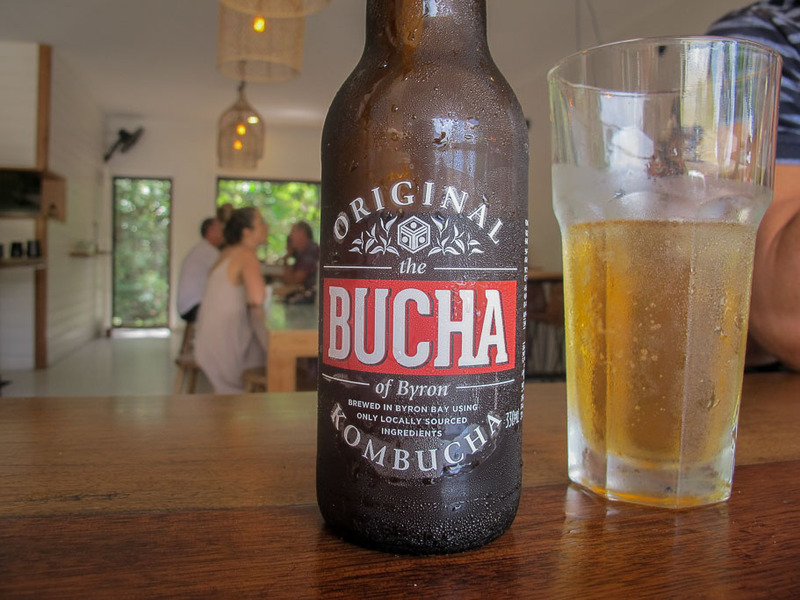 In the drinks cabinet they also have the local Bucha of Byron Kombucha and Mount Warning Spring Water as well as other selections. 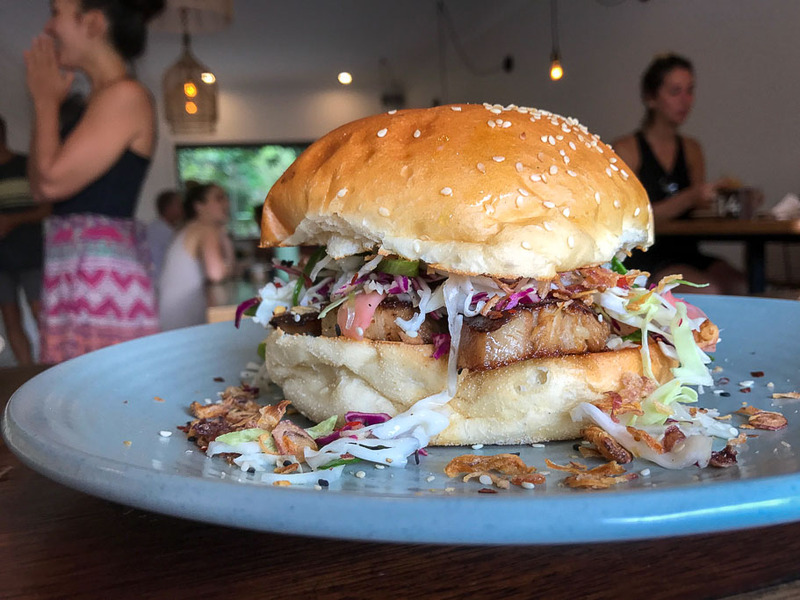 For quality eats in a quiet corner of southern Byron Bay make sure you head to Tullys Suffolk Park and don’t miss the Pork Belly Burger.